If you love helping others look their best and have a flair for style, color and beauty, becoming a cosmetologist may be the right career path for you. Cosmetologists work on client’s hair, skin and/or nails by providing a wide variety of different services. Some cosmetologists become an expert in just one specific area. 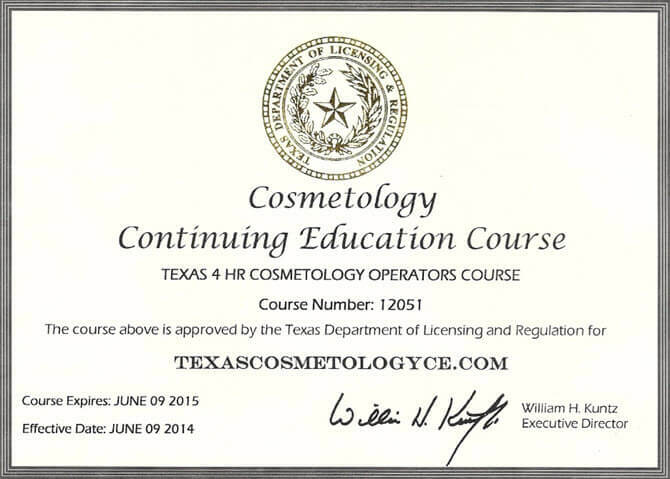 With some education and training, you can become a cosmetologist in less than a year or two. Cosmetology is a fun, rewarding job with a lot of opportunity to use your own creativity. Job Description: What Does a Cosmetologist Do? Cosmetologists perform many different duties. These often include the basic job functions of a hairstylist, manicurist, and an esthetician. A cosmetologist may do all or some of these duties, depending on their job or specialty. Some cosmetologists specialize in areas such as permanent makeup, hair braiding, hair color, hair removal, nail care or skincare. Cosmetologists are not only trained in the latest tricks and techniques, but they must be able to communicate well with clients to clearly understand their needs. They may also provide peripheral services to help clients feel great, such as massage, relaxation techniques, and aroma therapy. Depending on their specialty, cosmetologists may provide different types of treatments to hair, skin and nails. In addition to technical duties, a cosmetologist will also need to keep their tools and station clean, communicate well with clients, and be knowledgeable in the chemicals and active ingredients of the products they use. According to the U.S. Bureau of Labor Statistics, the median salary for a cosmetologist in 2017 was $24,900. However, that number also includes the salaries of barbers and hairdressers, who earn slightly different wages than cosmetologists. This number may also be lower than actual wages earned, as some cosmetologists do not accurately report their full pay to the IRS by leaving out income made from tips. The actual wage one earns as a cosmetologist will depend on experience, education, region, and employer. Choosing an elite cosmetology specialty or working in a high end salon will help you earn a higher salary and/or commissions. There are a number of issues to research when first embarking on a career in cosmetology. All states require cosmetologists to be licensed, however each state has different conditions to meet. So, first you need to find out exactly what your state requires. Many states require cosmetologists to be 16 or 18 years of age, and have a high school diploma or GED. They will also require a certain number of semester hours, apprenticeship hours, or a combination of the two. Most states require an average of 1,500 hours of experience. Many of your apprentice hours can be fulfilled through your educational program. It’s important to choose the right program for your needs, particularly if you are pursuing a certain specialty. You should also keep a realistic budget in mind when applying to different schools. When choosing a school, make sure it meets not only your personal needs, but is a state approved program that provide you with enough education and training to pass your cosmetology exam. After choosing a state approved cosmetology program, enroll in classes. This could be a certificate program last takes only nine months to complete, or a full associate’s degree in cosmetology that will take two years to finish. Whichever program you enroll in, it should cover everything you need to know as a cosmetologist, from the different products you will have to use to learning about anatomy and physiology. Depending on your state’s regulations, you will probably have to complete a certain number of apprenticeship hours under a licensed cosmetologist. The number of apprenticeship hours averages between 1,000 and 2,000. You will most likely be able to complete some or all of these hours during your certificate or associate’s degree program. But, be aware of the possibility that you may need to complete additional hours after you graduate. Once you complete your training and apprenticeship, congratulations – you are almost there! Next, you will need to take the cosmetology state board exam. Some states have one test for general cosmetology, while others have separate tests for each specialty. Your test will probably include both a written and practical portion of your exam, which means you will have to answer questions about the field of cosmetology and also demonstrate your skills to a judge using a mannequin. Once you pass your exam and submit any remaining paperwork and fees, you will officially become a licensed cosmetologist who is ready to work on their own. Most cosmetologists work in salons and spas, but that’s not the only place they can find work. Cosmetologists can work on fashion shows and shoots, as personal stylists, instructors, or cosmetic salespersons. If you can get a job working for an elite, upscale salon in a metropolitan area, you will be able to command a high salary. However, when you’re first starting out you may have to take lower level jobs such as a shampoo technician before you work your way up. About half of cosmetologists are self employed, and many run their own business. The more education and training you have, the more versatile you become. If you are considering starting your own spa or salon, learn as much as you can about cosmetology and business to help you be successful. It’s also important to fulfill any requirements your state has to renew your license to ensure it stays current. Training in cosmetology can be pricey, with costs running from $5,000 to over $20,000. This does not include textbooks and supplies, which can run over $2,000. Choosing an accredited cosmetology school is best, but you must attend a school that is state approved. Accreditation is a national designation. If you are seeking financial aid, you will only be eligible for federal funds if you are enrolled in an accredited school. Depending on your region, you may have several schools to choose from. When researching schools, look for cosmetology programs offered at vocational schools, community colleges, or cosmetology/beauty schools. If you want to specialize in a certain area, you will certainly want to make sure that the school(s) you are considering provide a program tailored to that specialty. Meet with admissions counselors to be sure you understand what will be expected of you in regard to school schedule, cost, supplies, and more. In school you will learn about a wide variety of topics, including: anatomy and physiology, nail, hair and skin care, hair styling, cutting and coloring, frosting and highlighting, hair prosthetics, and make-up. You’ll also learn about other different things that are important to the cosmetology field. This includes: safety and sanitation, product ingredients and usages, and management and sales. You will receive your training through lectures, books, and hands-on training so you not only learn the facts, but experience practical application of that knowledge. Your training program will also help you learn how to deal with different types of clients. Not all clients are the same, and will come to you needing help with a wide variety of problems and requests. You will also learn how to manage unhappy clients and the best ways to find and retain loyal customers. Make sure that your classes won’t conflict with your work schedule and other personal obligations you may have. All 50 states require professional cosmetologists to be licensed, but the specific requirements vary from state to state. Check your state’s requirements and if you like, follow up with a licensed cosmetologist to make sure you fully understand all the regulations. When you complete your training program, you will receive either a certification or a diploma, depending on which type of program you took. After you have finished your education, you will need to finish up any remaining apprenticeship hours required by your state. When you are done with your education and apprenticeship, you are finally ready to take the licensing exam! Again, the exact exam you will need to take depends on your particular state. Some states have blanket “cosmetology” exams, while others will have more specific exams linked to your specialty such as nail technician, esthetician, hair stylist, or electrologist. For an idea of the test contents, refer to the National-Interstate Council’s (NIC) website for more information. This is the most commonly used testing organization for state licensing exams. Written portions of the exam will generally take a maximum of two hours to complete. The practical portion may take up to four hours, with a certain number of breaks allowed. Often these exams will be offered in different languages, including English, Spanish, Korean and Vietnamese. Again, each element can differ from state to state and laws can be changed at any time, so it is important to obtain the most up-to-date information about your state’s particular rules. There will be fees for the exam and for your license. Expect to pay about $50 to $150 for each of these items. You will need to renew your license periodically, which will incur another fee. If you allow your license to expire and want to renew it later on, your fee may be higher. The job outlook for cosmetologists is good. The expectations for beauty are always high, and most people want to do their best to meet those expectations. The creation of new procedures, the desire to experiment with new styles, and the universal need to address skin, nail and hair issues ensures that most people will need to visit a cosmetologist at some point in their life. You can increase your chances of getting a good, high paying job by working hard to complete your education, gain experience, and acquire certifications in various specialties. Your degree of job security is somewhat dependent on your ability to market your skills and make your clients happy. That's a higher than average projected growth of 80,100 jobs. Should You Become a Cosmetologist? Cosmetologists’ hard work pays off with happy, loyal clients. Not every job is as creative and fun as working in cosmetology. Every day you will transform the appearance of your customers, which in turn improves their self esteem and helps them manage certain hair, nail and skin conditions. You will work long hours on your feet, but there is a certain degree of flexibility in being a cosmetologist. You may be able to schedule your own hours, and you can make efforts to focus on a specific area of expertise you have. That means if you’re passionate about nails, you can focus on manicures. Or, if you love hair pieces, wigs and extensions, you can specialize in that area. In 2017, the median pay for a cosmetologists, barbers and hairstylists combined was $24,900. This translates to $11.97 per hour. Cosmetologists working in specialties often average higher rates of pay. For instance, massage therapists average a salary of $27,000 per year. Salon managers can expect to earn around $36,500 annually. Since there is such a wide variety of specialties that earn very different salaries across the country, it is difficult to generalize what you can expect to earn. As with most professions, you can earn more money working in metropolitan areas than rural towns. The job growth outlook for cosmetology is very good. There are currently about 675,000 jobs in the cosmetology field (including barbers, hairstylists and cosmetologists). The U.S. Bureau of Labor Statistics projects 13% growth in this field over the period of 2016-2026. This reflects faster than average growth and translates to the creation of approximately $87,600 new jobs during this ten-year span of time. Population growth and an increasing number of new products and services make this job in high demand. To start your journey as a cosmetologist, you will have to hold a high school diploma or GED, depending on your state’s requirements. If you take a certificate program to complete your training, it will take one year or less to finish. If you’d rather obtain an associate’s degree in cosmetology, your education will take about two years. Of course, you shouldn’t stop there! With every new certification you receive, the more you will expand your expertise and be able to offer your clients with more specialized services. Cosmetologists are beauty aficionados, hair, nail and skincare experts, and a trusted friend rolled into one. Q. How long does it take to become a cosmetologist? Depending on the course you choose, it should take no more than two years to become a cosmetologist. Certificate programs are the quickest way to finish your training, often taking less than a year. If you are still in high school, consider attending a vocational high school offering a cosmetology program to get a great head start on your career. Q. How much does a cosmetologist make in a year? The average salary of a cosmetologist varies widely, but is generally around $24,900. Metropolitan regions offer higher rates of pay. Cosmetologists who work in department stores earn less than average, while those who work on fashion shoots and movie sets will earn more. However, the majority of cosmetologists work in full-service spas and salons. Cosmetologists often earn money in different ways, including making a set hourly rate with an additional commission for services rendered and products sold. Q. 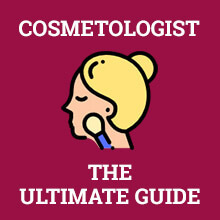 What degree do you need to be a cosmetologist? You need to complete a program in cosmetology, whether it be through a certificate program or an associate’s degree. If you choose to obtain an associate’s degree, make sure you attend a state-approved program. During your training, you may be able to complete – or at least begin – your apprenticeship hours so you can take your cosmetology exam as soon as possible. Not only will your education provide you with all the information and hands-on training you need to do a great job, but it will also teach you a little about running your own business if you decide to go that route in the future. Q. What is a master cosmetologist? A master cosmetologist is an advanced student of cosmetology who has completed additional training. Depending on your state, you may need to pass a different exam to become a licensed master cosmetologist. Often master cosmetologists will specialize in a certain field. Some people seeking this title will complete advanced degree programs in chemistry or pharmaceutical science. If you are interested in creating new cosmetic products, you might consider becoming a master cosmetologist. It will take between two and five years to complete your education. Q. What is the difference between a barber and a cosmetologist? Barbers generally work only with hair, whereas cosmetologists treat hair, skin and nails. Cosmetologists can specialize in a wide range of different services including hair extensions, coloring, electrology or makeup, but a barber has far less different options. Barbers tend to work primarily with male clients, while cosmetologists work with clients of both genders. Both professions require licensing and postsecondary training. Both jobs earn a similar salary and can expect similar job growth in the coming years.